Hollie and Naomi (MTG participants) working with Gus and Lynne (Lapwing trustees) on the updated branding and new design of the Lapwing website. Lee learning from a professional photographer. Lucy re-motivated by animal care work experience at Jimmy's Farm. Daniel developing his practical skills with Green Light Trust. 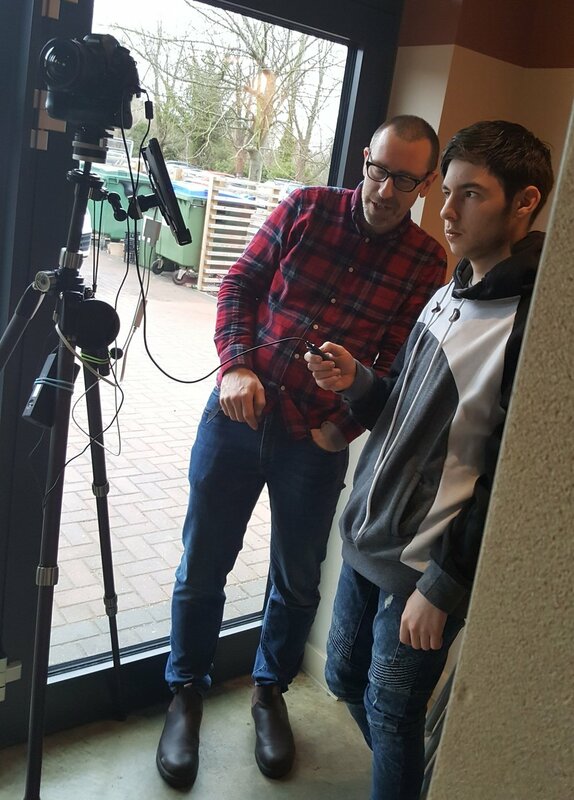 This national project, funded by the European Social Fund and Big Lottery and led within the county by Community Action Suffolk, enables Lapwing to provide targeted and intensive support for NEET young people (those not in education, employment or training) aged 15-24 in central Suffolk. The sole purpose is to re-engage these young people in education or training and/or enable them to gain and then sustain employment. These young people are often hard to reach, unemployed, economically inactive, at risk of social isolation and face significant barriers to accessing employment. Through a range of approaches and the utilisation of delivery partners, Lapwing will deliver successful outcomes for approximately 200 young people between January 2017 and September 2019. For more information about the project or to make a referral contact Charlotte Wright, Lapwing's Project Manager for Minding The Gap, by email or on 01473 621762. Saffy engaging with others through the 'Participate' music workshop at Snape Maltings. Ryan getting involved in horticulture at Brett Vale. Saffy engaging through the 'Participate' music workshop at Snape Maltings. Dylan learning new skills during his forestry course with Green light Trust. Lee using photography as his motivation - planning his distorted image. Daniel researching future routes to employment.